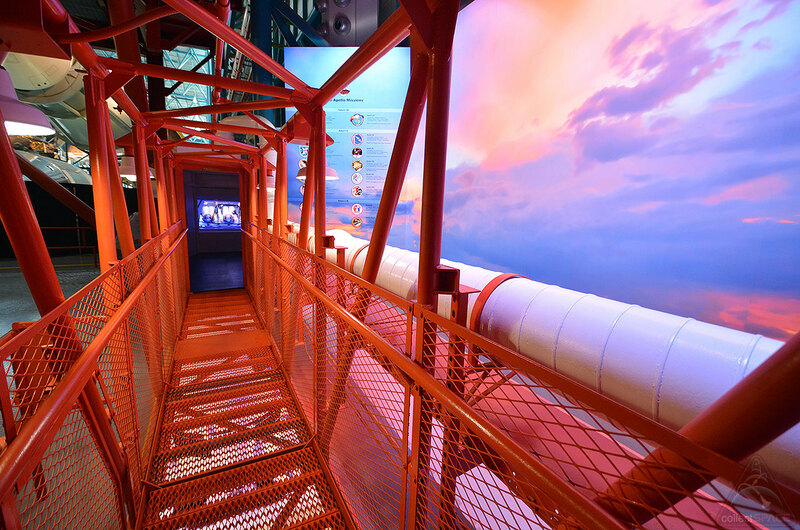 Entranceway to "Ad Astra Per Aspera: A Rough Road Leads to the Stars" at Kennedy Space Center Visitor Complex in Florida. 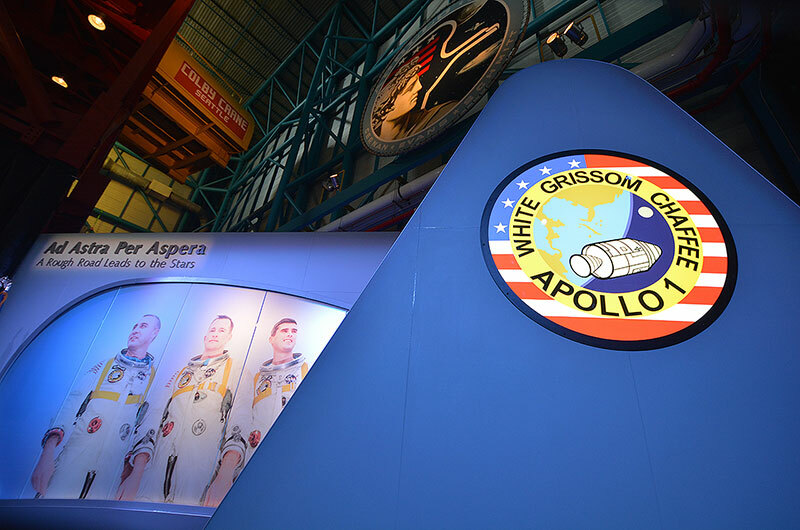 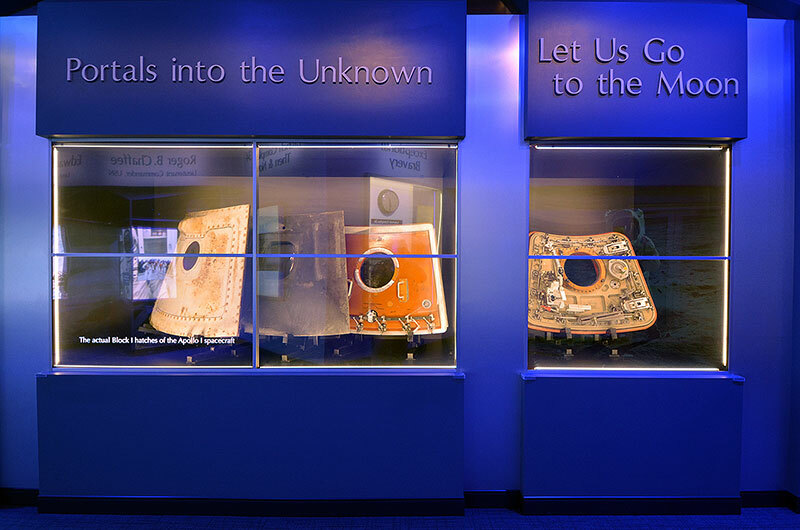 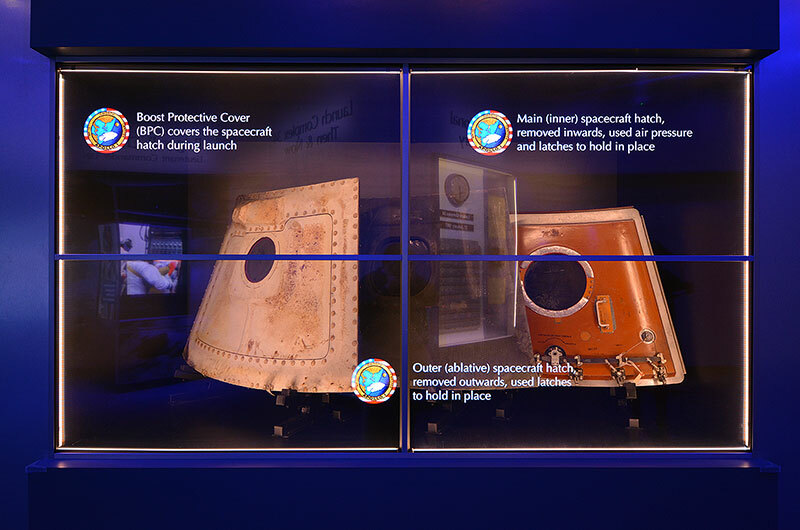 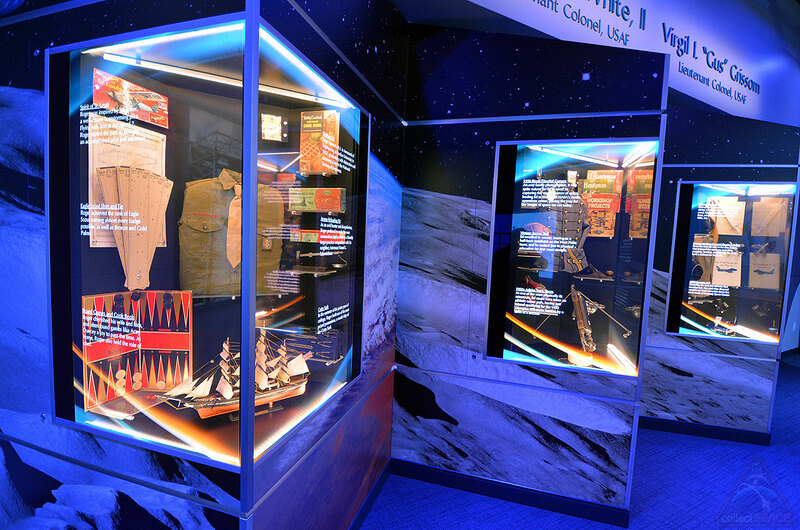 The exhibit includes memorabilia and artifacts from the Apollo 1 astronauts' personal and professional lives, including the maneuvering gun used by Ed White during the first American spacewalk and all three astronauts' NASA ID badges. 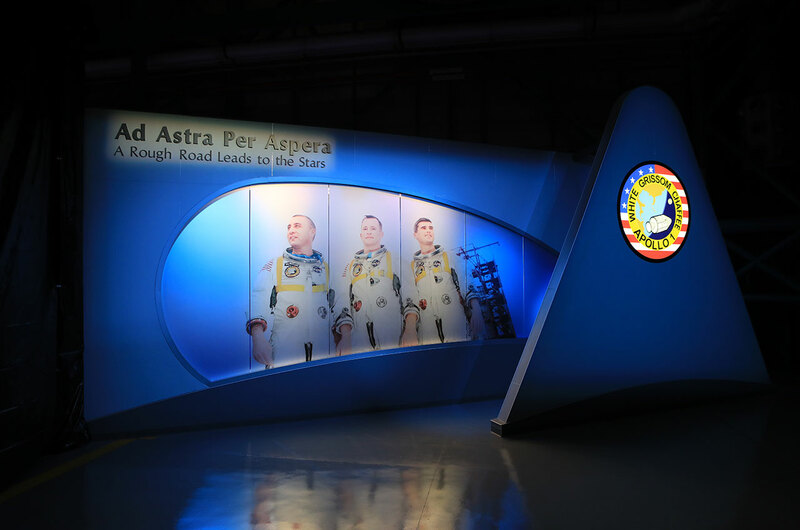 A high-tech theatrical scrim, the glass walls of the exhibit cases in "Ad Astra Per Aspera" are transparent OLED displays, enabling each to show video and digital content adding context to the artifacts held inside. 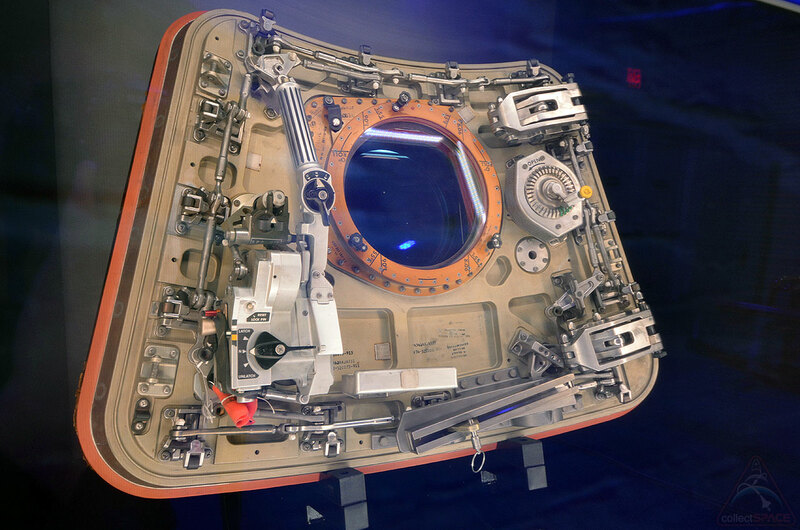 The Apollo 1 command module hatches: the outer boost protective cover hatch (left), the outer ablative hatch (middle) and main spacecraft hatch. 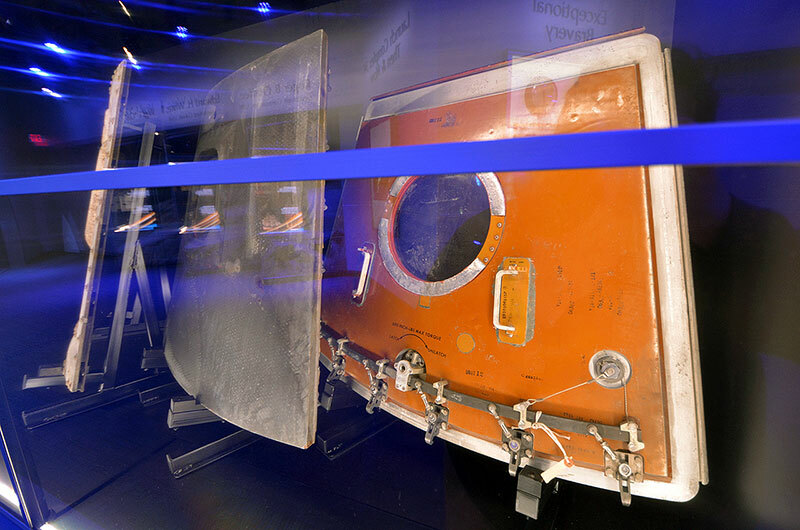 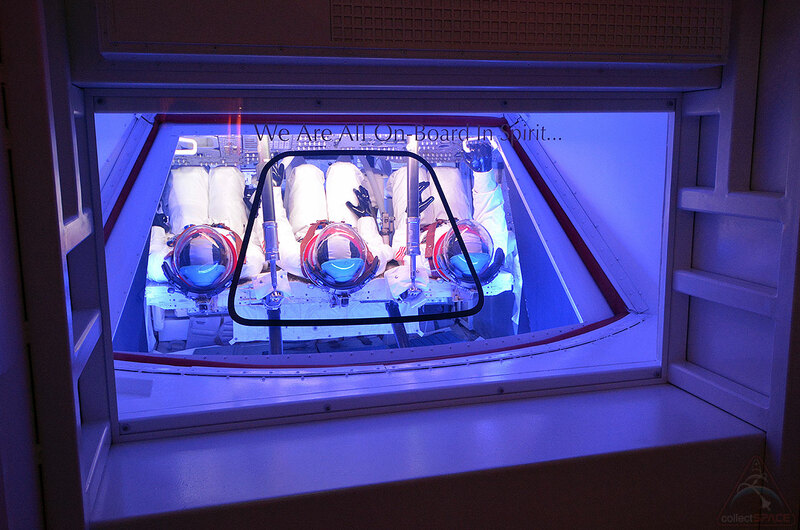 Under normal circumstances, it would take 90 seconds to open the hatches to extract a crew. 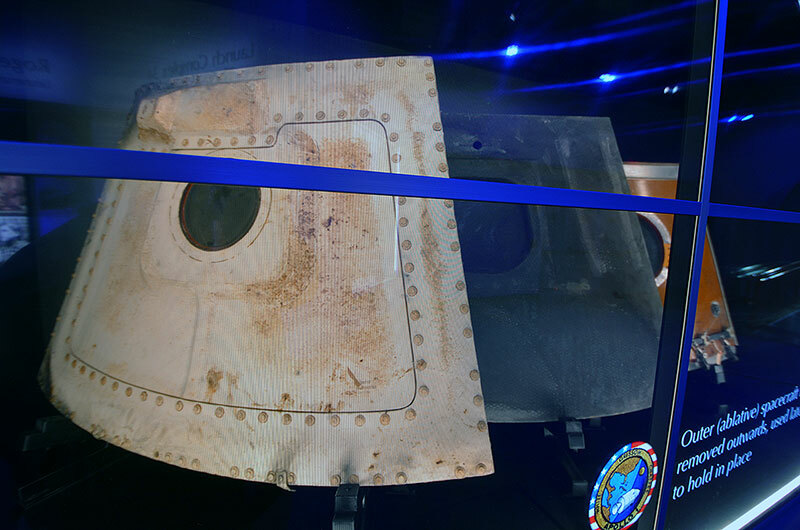 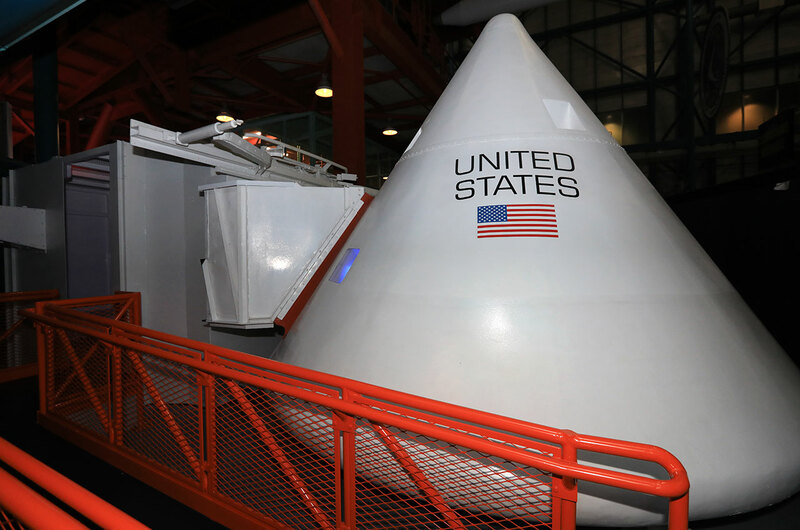 The post-Apollo 1 fire redesigned Apollo command module hatch could be opened in just five seconds and it swung outwards. 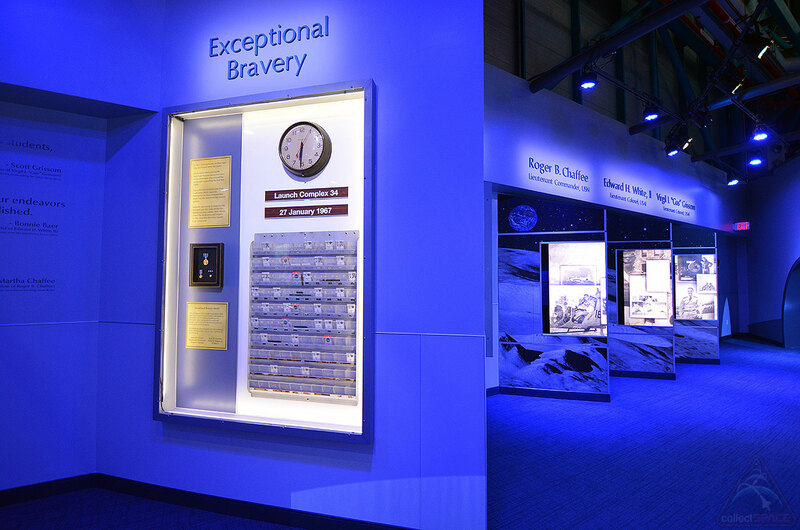 Six technicians who rushed into the white room to try to rescue the Apollo 1 crew suffered burns but were honored with NASA's Exceptional Bravery medal. 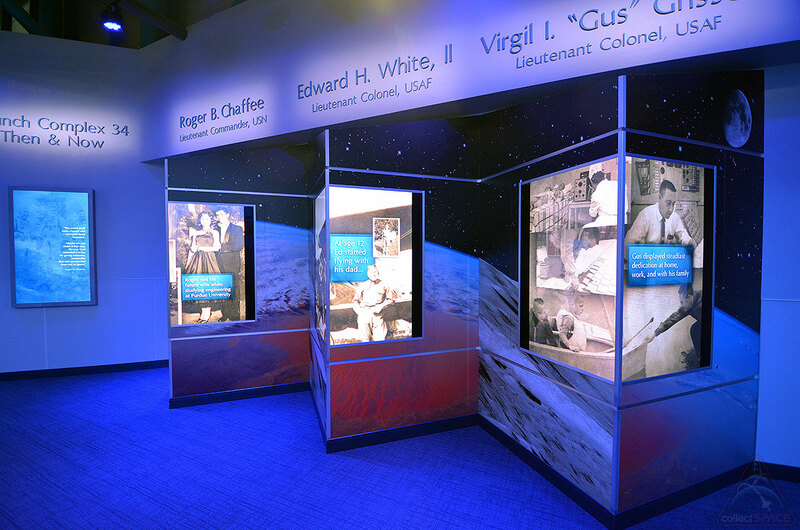 This display pays tribute to them and includes a recreation of the "badge board" at the launch pad. 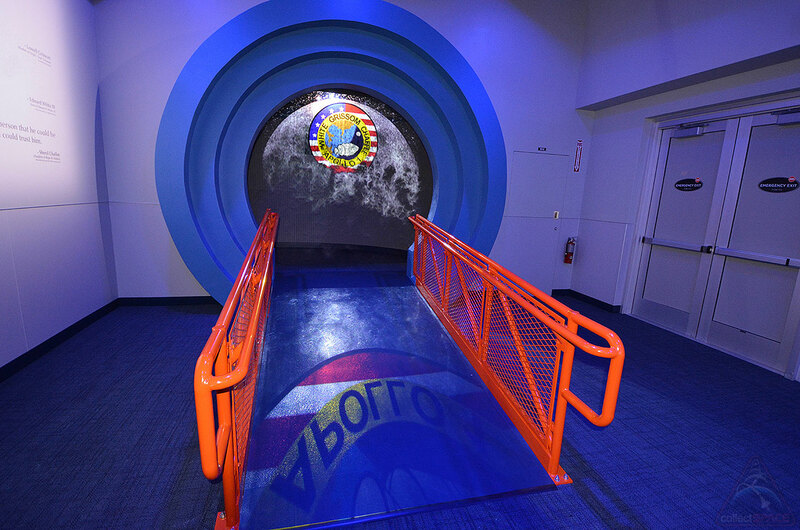 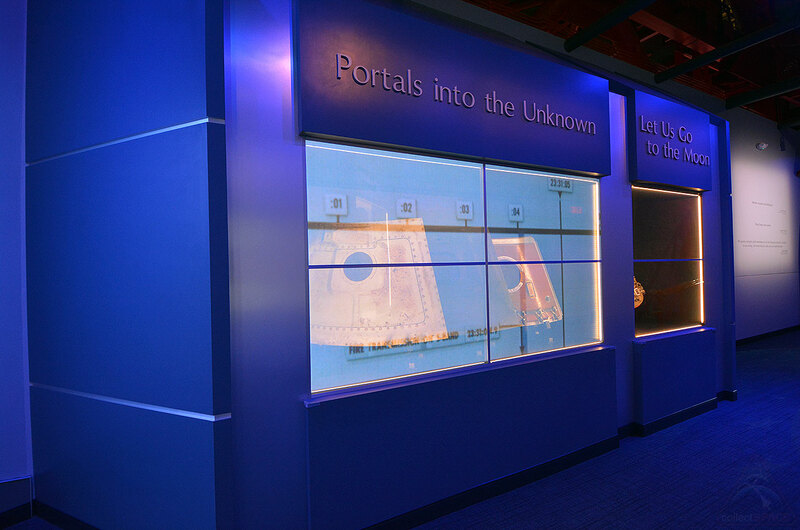 Visitors step through a vapor curtain with a projection of the Apollo 1 patch to take the "Heroes' Walk" across the gantry arm.